Now Manditory for All Coaches, Assistant Coaches & Managers. All Coaches, Assistant Coaches & Managers must be CDC certified by the end of February or they will be removed from their team account. Log into your GotSoccer coach account and click on Concussion Center in the black navigation bar above your name. Click here to go to your GotSoccer Coach login page . 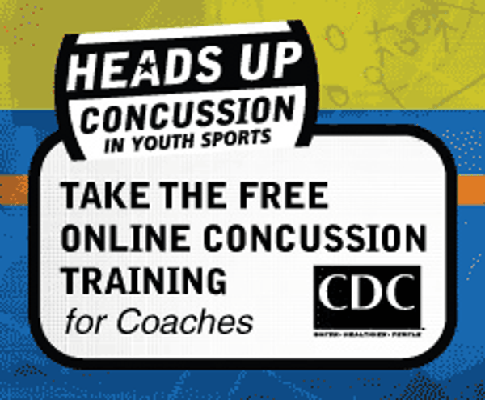 Click on the 'Center for Disease Control (CDC) Heads Up Concussion Test' - Go To Courses Page link. Follow the instructions to complete the course and receive your certificate.